Helen Linda Smith was born on 3 January 1956, the daughter of a former policeman. Having failed the exams needed to become a police officer, Helen chose nursing and landed a job at St George’s Hospital in Tooting, south London. She transferred to St James’s Hospital in Leeds in 1977. On 5 December 1978 she flew to Jeddah to begin work at the new Bakhsh Hospital. On 19 May 1979 she attended a party for diver Tim Hayter at the sixth-floor home of Bakhsh’s senior surgeon Dr Richard Shackelton Arnot and his wife Penny at which alcohol was illegally served. There were 11 people present and Helen arrived at 9.45pm. At some point between then and early the next morning Helen Smith and another guest, a tugboat captain named Johannes Otten, 35, fell to their deaths. The body of Johannes Otten was impaled on railings while Helen’s was found on the marble floor nearby. Or at least that was the official story. When Helen’s father, Ron, saw her body in the morgue he was shocked to find that there appeared to be no broken bones or anything to suggest that she had fallen any distance, let alone from a sixth-floor balcony. Her right side and inner thighs were badly bruised and there was a deep indent in the middle of her forehead. As he was leaving the Bakhsh Hospital the next day, Mr Smith was approached by friends of his daughter who told him that she had been murdered. A second autopsy found an injury to the left side of the scalp that would have knocked Helen unconscious, if not killed her. Far from death resulting from falling from a great height, Helen Smith had been beaten in the face several times, had received a potentially fatal blow to the head and had been raped. 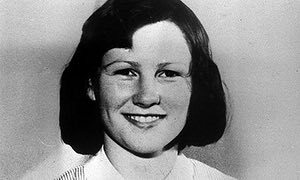 An inquest into Helen’s death opened in Leeds on 18 November 1982. At 6.47pm on 9 December 1982 the jury returned a majority open verdict.